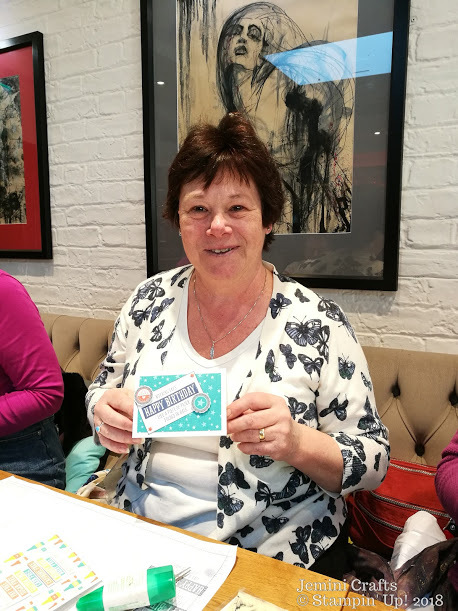 Following on from our recent Bird Banter fun cards, I decided to use this fabulous stamp set called Birthday Wit for our coffee and card, card making session this week. I used the FREE Sale-a-Bration "Bubble Over" 12x12 papers for the backing, to make some great mens themed cards to start with. This great pack of 12 papers can be yours for free with any purchase over £45 before 31st march 2018. 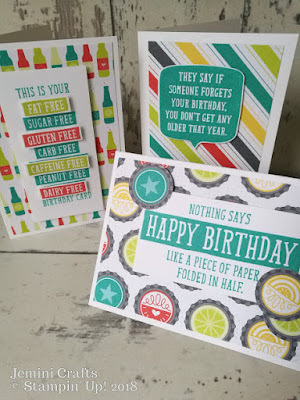 Aren't these sentiments great fun - I especially love the gluten free, caffeine free, dairy free, fat free set of words! 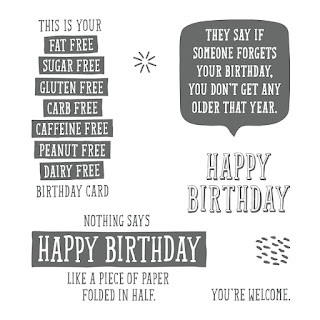 Mind you, I also love the cheeky one that says "Nothing says Happy Birthday like a piece of paper folded in half". 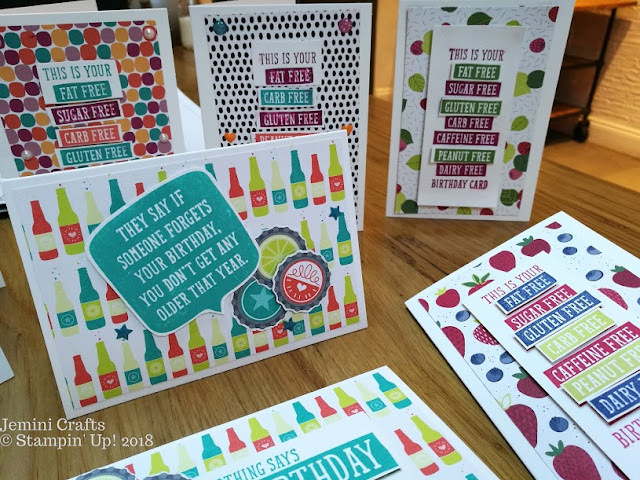 For the coffee and card session I took some ready cut background papers - the Tutti Frutti ones and the Bubbles ones, and took the matching ink pads with me for ease of stamping. All our papers list the matching colours on the pack, so I knew I would have sufficient inks for everyone to choose from. We layered the background paper onto notecards. I cut the papers to 3" x 4 1/2" to fit the notecards with a little border around them. 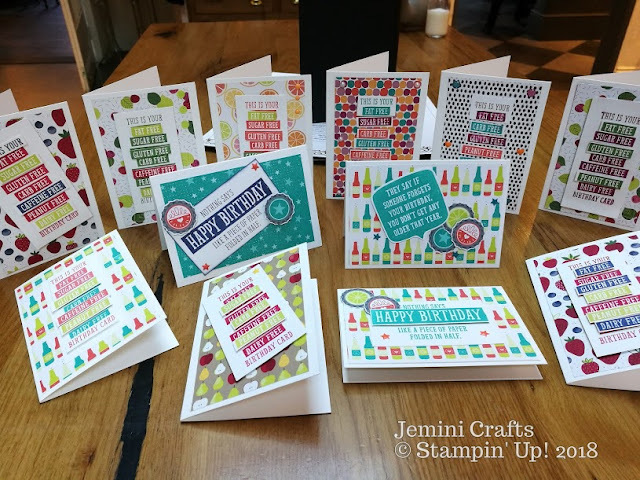 We chose 1 card to be the main focus, then simply cut out selected sentiments in the other 3 colours and layered them on top using our mini dimensionals. Extra accessories were added as required - mostly enamel dots and stars. You can see these in the centre Happy Birthday image below (stars). 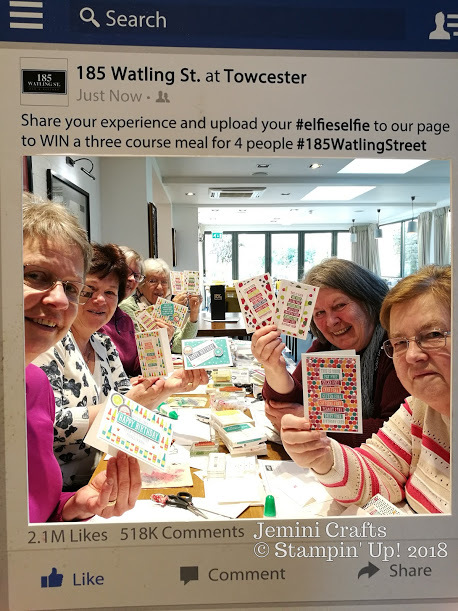 At the end of the coffee and card session we decided to take a 'selfie' using the fun selfie graphic board from the restaurant (#185WatlingStreet). 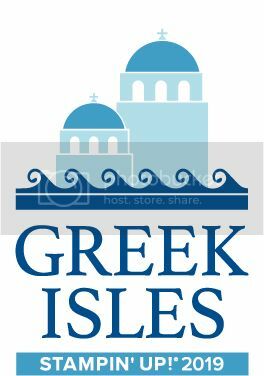 If you want to join us for a future coffee and card, just follow us on Facebook, and you will see all our dates/locations. 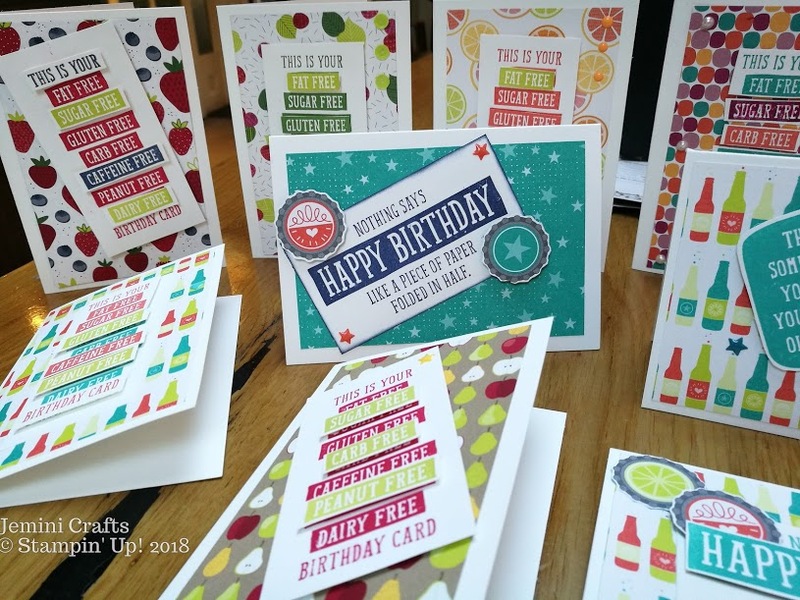 All of the products we use at coffee and card are from Stampin' Up! 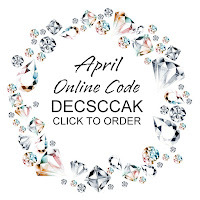 You can purchase these items through me, either online or in person. 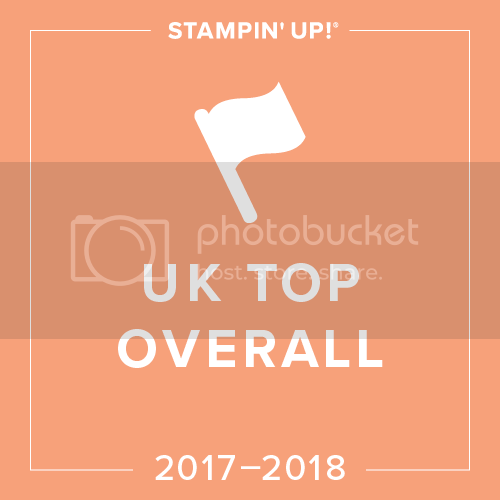 If you would like a catalogue, please EMAIL me and request one.